I hiked through Florida from Jan. 3, 2016 at Key West and hiking the Florida Keys Heritage Trail to Key Largo. Then, from the southern terminus of the Florida Trail north to Ocala, arriving on Jan. 27. I took about 900,000 steps to hike about 450 miles. My pack weighs right around 18 pounds without food and water. It looks like I may carry up to 5 days of food and will resupply from stores rather than ship food to post offices. The prices are only for costs of this trip. 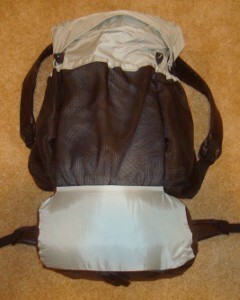 Almost all gear is still working well from previous treks, so see the IAT Hike page for costs. I'm not including Josh's gear because that's up to him. G4 backpack 16 $0 made myself from pattern. shelter 27 $0 I'll use my silnylon shelter I made. This weight includes stakes, lines, and groundsheet. I treated it with silicone spray, added a bug screen edge and floor, and it works just fine. There are only 3 shelters on the FT, so I'll use this most nights (unless new friends I meet put me up for the night:-) ). Josh will use my Bear Paw Wilderness Designs La Garita shelter with Minimalist I bug net that weighs 28 oz. plus stakes. I switched to the Bear Paw shelter when Josh left the trail. sleeping quilt 40 $0 I made this quilt from a pattern for my AZT hike. We'll take both my lighter weight green version and this warmer one. When Josh left, I switched to the warmer quilt. 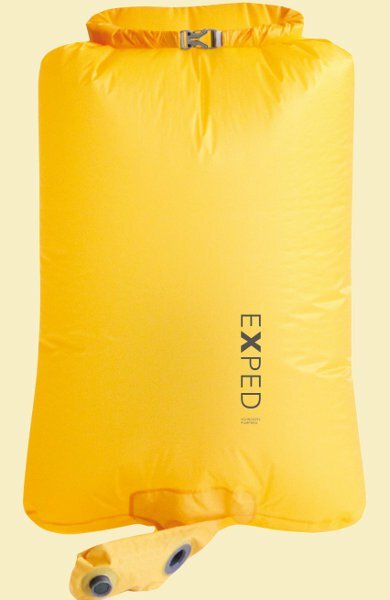 Exped Synmat 7 UL Pad 16 $0 comfortable, warm, light mattress for restful nights. Josh gets a simple blue cell pad. Exped Schnozzel Pumpbag 2.0 $0 Fills pad quickly with dry cold air instead of hot moist breath, and keeps me from getting dizzy! 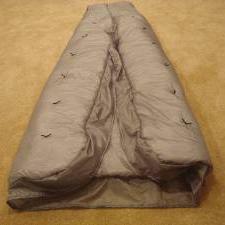 Serves as food bag at night and storage for clothes in pack during day. 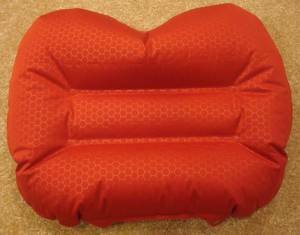 Exped pillow 2.7 $0 xmas present. Pretty comfortable and worth the extra bit of weight. No cooking on this trip. food 1-9 lbs. $0 I will carry 5 days of food at the most. water filter 4.2 $0 Sawyer Squeeze filter continues to work wonderfully. Water sources turned out to be no problem and got most water from potable sources, only filtering a few times. water bottles 1.2 $0 two .6L throw-out bottles - cheap, easy, light. BSA wicking t-shirt 11.2 $0 light, synthetic. It refuses to wear out! long sleeve nylon shirt 12 $0 Wore this every day, for sun protection. ArmaSkin socks 1.2 rubbery anti-blister socks. They worked fine in the swamp, but wore a hole through in just 2 days. Darntough socks 2.9 I got these on the A.T. and they seemed very nice, but I didn't get to wear them long enough. They are warm, soft, and sturdy. These socks were awesome! Wore them every day except 2 days in swamp. shoes 32.5 $20 el cheapo from WalMart. Got them for practice hiking and they fit nice, so I'm going with them. They last about 300 miles before the soles wear through. bandanna 1.0 $1 too many uses to list here. army surplus liner 16.4 $8 cheap buy off eBay for a nice layer of insulation. cellphone 4.4 for daily blogs and pics. I now have a Samsung Galaxy Light. This will be my watch, alarm, phone, camera, gps. tracker 4.2 pings to satellite with my location. Batteries last about 10-14 days when on for 12 hours/day. 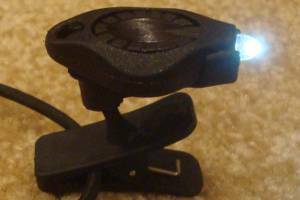 headlamp .5 $0 Awesome photon light. One set of batteries lasts about 10 days, but probably less on this hike since there will be less daylight hours. batteries 7.0 $15 I bought 3 extra cellphone batteries and a simple charger off eBay. It's a much lighter solution than a solar charger or battery pack. I just recharge a battery in my phone and one in the charger at the same time in a town. 12 AAA lithiums for tracker, and 12 CR2016 coin batteries for headlamp - purchased online for pennies. I'll have more mailed later, if needed. FT App 0.0 $36 For help with water sources and location. These apps are great tools and they weigh nothing. trek poles 19 $0 nearly worn out, but only needed for support in swamps and erecting shelter. 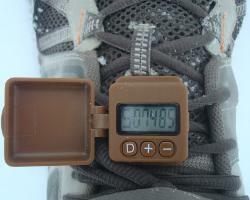 pedometer .6 $0 track my steps, just for fun. The great folks at GeoPalz gave me a replacement for the one I lost in the wilds of Wisconsin. rain poncho 3.4 $4 cheap disposable to cover me and pack from rain - taking 2.
rain skirt 2.0 $1 I saw people with these and they look like they work. Just a garbage bag cut open and cinched around waist. guide 16 $28 Florida Trail Guide. Heavy, so I threw pieces away as I finished sections. I never used it on the trail - just used the app. knife 1.1 tiny, single blade. ear plugs 0 I'm taking a bunch, just in case. duct tape 1.5 Duct tape has many uses, but I'm taking bright orange this time so I can be seen in open hunting areas. Need to take more next time. stickers 5 Taking 100 Hiking Dude stickers to hand out to folks I meet. Got rid of about 70 of them! Breakfast: 2 poptarts, 2 protein bars - 750 calories. I'm rarely hungry before starting my morning hike. Lunch: nutella on tortillas - 600 calories. Dinner: protein powder after hiking and tuna or salmon on tortillas, Nutty Bar for dessert - 600 calories. Drink: just water. lots and lots of water. travel to trailhead from home - $200 - fly to Ft. Lauderdale, rental car to Key West. gear - $20 shoes. Wore out first pair and bought replacements at Clewiston. Distance 1500 miles - but this includes loop trails so a thru-hike is about 1,100 miles. Over 1,000 miles of trail are completed with connector routes between. Total Elevation The total cumulative elevation climbed is undocumented at this time but is extremely small since the entire trail is nearly flat. Terrain Flat and often swampy. Follow orange blazes. History Conceived in 1964 by Jim Kern. Established as a National Scenic Trail in 1983. First thru-hiked by Steve Sheridan in 1989. Challenges Feral dogs, big cats, bears, snakes, alligators. Time Window November through April. Starting between Christmas and New Year's heading northbound takes advantage of the winter dry season and is when most thru-hikers tackle the trail. Time to Hike Typically takes 8 to 12 weeks. Permits Must join the Florida Trail Association to cross private property on trail segments. See FTA permit page for long list of special permit requirements. Thru-hiker Tally Around 150, recent years have seen about 15-20 thru-hikes completed. End to End Roster. Most hike northbound with the weather and to avoid hunting seasons. I have no clue when you posted this, or if you still need someone to hike the FT with, but I am also looking for a hiking partner for this trip! Early 2016! I've hiked the IAT (thousand Miler) and done about 150 miles of the FT. If you are serious about hiking the FT I am interested. Don't want to go the swamps alone. 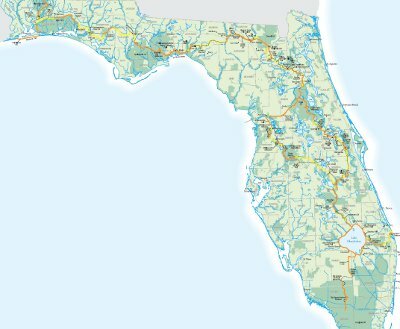 I too plan to be hiking the Florida Trail as part of the Eastern Continental Trail. I was looking at the 2015-2016 hunting schedules, and there appears to be a gap in the hunting season lasting a few weeks in November 2015. In order to avoid hiking through the Canadian/Newfoundland sections in the dead of winter I plan to start the Florida Trail this year on November 1rst 2015. Thru Hiking to the Alabama state line. Good luck on your hike's Molly and Will!! I'm interested in hiking north to south in late October/early November 2015 to avoid the high water in the Cypress and the cold in the north. I've completed a section of the FT earlier this year and saw the Cypress has minimal water in late Feb/early March. Also, just finished some sections of the AT. Prefer to not travel alone. Im interested in hiking the trail as well, Early Nov. dont want do alone either. Please let me know if anyone is still looking for hiking partner. I live in Tampa. @Everyone - Hey, I'm really hoping to do the FT, heading northbound, starting on their kick-off day which sounds like will be about Jan. 8. I have no preference going north or south, but it sounds like most go NOBO. I'd really like to connect with someone to start the trail with, and hopefully do the whole thing. Since it's flat and lots of road, levy, dike walking I expect to average at least 25 miles a day. Slower in the swampy areas, but longer on dry flats. If this sounds like something you'd be interested in, Send me Mail and we can chat more. Me and a friend are going to thru hike the FT starting early Nov. Would love to meet some other people out there, I've never hiked in Florida or swamps before. I'm starting in Key West December 22nd and will be at the southern terminus (Oasis) around the first of January. like most don't want to do Swamp Hike on my own. not sure how others can get a hold of me. Are you Hiker Dude able to get us all talking through E-mail? I'm trying to plan Ocala park come January. I've never hiked that far so I've been trying to plan it out prior to me going. Any tips or hints or books to get? Basically where are we allowed to camp/water sources? I've never done that far how many miles can a beginner do a day I see you posted 25miles a day I'd like to take 5-7 days to do it. Thanks in advance. (Since I never have done this before I talked my step dad into going for my first time cause I'd like to make sure I have enough skills before going alone) thanks for any tips, or any groups I've looked for different things like Craigslist prior to talking my step dad into going but where you can collaborate ideas or hikes. FYI - I've convinced my son to hike with me from Key West to Lake Okeechobee, starting Jan. 3. We plan to average 25+ miles per day, reaching Clewiston on Jan. 15 so he can get back to school. I've got Hiking Dude Stickers to hand out to folks I meet on the trail. Hope to see you out there! I lived in the Keys for 7 years, so if you need information as you hike, ask away. If I can offer assistance as you hike North of Okeechobee, near Route 98 and the Kissimmee River, Yates Marsh, etc. let me know. Water, Charge Electronics, Hamburgers on the grill. Happy New Year Hiking Dude Family! I'm excited to read about this hike and daily adventures. Hope today is starting off great! Hi Hiker Dude and Happy New Year! Hike Safe my Friend!From the Keys to the everglades is like another planet. Enjoy all that fresh air. I'm sitting behind a desk wishing I was you. @mike - thanks! I will contact you when I get closer. A burger sounds Awesome right now after a long afternoon of rain. @paul - it has been interesting so far! Walking through swamp will be an exciting adventure. Hi Hiking Dude! We are anxiously waiting to meet you in Ocala. Troop 331 is planning a great meal for you. Be safe and see you in a few weeks. We missed you at tables for 8 tonight. We enjoyed Kelly's company. Your blog is very interesting. Happy hiking! You really both smart and brave. Thanks for sharing this. I hope some traveller could get new ideas on how are you going to prepare for travel. Good luck to your next adventure. My cousin and I are planning a 2-3 day hike on the Florida Trail, near Ocala, coming up this February. We're both male, he's 24 and I'm 41. Should I be concerned hiking through Ocala National Forest at this time of year? Should we carry self-defense items? I hear there's some dodgy blokes that live out there during the winter months. I greatly appreciate any advice. @Colby - Any trail is safer than any city. I feel that a gun is just extra weight, unless you have it loaded and in your hand all the time - which would be pretty silly. Hiking poles are enough self-defense items, I think. There's a good chance you'll meet a thru-hiker or two during that time.